Social media is mostly used for personal enjoyment and for businesses to market their services. But criminals also use it to commit crime. How well do you protect your organization’s social media accounts? Are you connected with imposters and miscreants? This session will review high-profile cases where social media and other online tools were used by cybercriminals. It will also discuss the threats social media poses to you and your business, as well as some best practices you can follow to protect yourself. 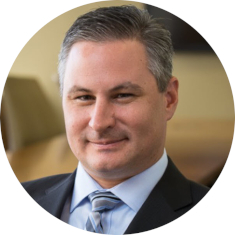 David Pollino, Bank of the West Chief Information Security Officer, is an experienced financial services executive with 20 years of combined experience in both information security and financial services. Pollino has held senior security positions at Charles Schwab, Washington Mutual and Wells Fargo. Pollino is a key contributor to the customer-facing BOW blog, as well as an information security author. He has authored titles such as RSA Press: Wireless Security, The Hacker’s Challenge Books 1, 2 and 3 and Hacking Exposed: Wireless. Pollino frequently speaks at security events and is quoted in the media on security issues. He also serves on board committees at the Boy’s and Girl’s Club of the Midlands.